Before you buy a Porsche, it makes a lot of sense to have it inspected by someone familiar with the cars. It can save you buying an expensive mistake. A 911uk recognised PPI specialist can undertake a pre-purchase inspections through out the United Kingdon, for a sensible fee, at their garage or at the vendor's location (subject to conditions). They will be able to get a 'feel' for a car; not only how well it looks and drives, but how it's been looked after. A cherished Porsche is always a better buy than a neglected one. With every PPI Pre-Purchase Inspection that a pre-owned Porsche undergoes this results in maximum reassurance for you. This peace of mind comes as standard with all Porsche Independent Specialist pre-owned cars and a PPI conducted for you. More than two thirds of all Porsche vehicles ever built are still on the road. The Porsche name therefore stands not only for performance and an unforgettable driving experience, but also long vehicle life. That is why their pre-owned Porsche sports cars come with a promise: an inspection that includes an exceptionally high level of service. To every Porsche Independent Specialist, this shows the extent of their confidence, while offering you maximum peace of mind and optimum service should an unexpected problem happen to arise. If you are thinking of buying a used Porsche you want the peace of mind of knowing you are making the right decision and that’s why you need someone you can trust to give you expert advice. Alternately, if you have recently purchased your Porsche and you need to find out if there is any work that needs doing, or that you should consider for the future. Why do you want an inspection?After a few simple questions you will need to arrange a convenient time and date with our service communicator for us to see your car and carry out an in-depth inspection. If you are hoping to buy a car and time is of the essence, we will do our very best to accommodate you as quickly as possible. On the ground. Start of the inspection, checking that all the lights are working correctly and inspecting all lenses for chips or cracks. Inside the car checking all the cockpit instrumentation and switches and complete a general inspection of the interior including seats, seat belts and trim. The general check up On a workshop ramp up halfway, checking all ball-joints, suspension, steering, remove the road wheels and inspect your tyres for wear, tear and irregularities. At this point we check and measure the brake discs and pads, the calipers, brake hoses, drive shafts and anything that may be housed in the wheel arch such as air conditioning condensers, oil coolers and oil lines. The view from down under. Car is sent up on the ramp to its maximum height where we can carefully inspect the underbody, chassis, fuel lines, gearbox and examine the engine for leaks. Next check the exhaust system, all mountings, roll bars and have a good general look around for anything that will need to be reported. Your car is then taken on a test drive. Driving, particularly in rush hour traffic can be difficult, but test drivers are very careful and safe at all times, whilst still making sure that the car is performing as it should. What’s the verdict? Any new information gathered from the test drive is now added to the information that we already have to produce a final report. You will be contacted to explain the report to you, making sure you fully understand it. Answering any questions you may have and advise you of the cost of any work the car may need now or in the future. You will receive a written report in the post/email to confirm of the assessment of the condition of the vehicle. 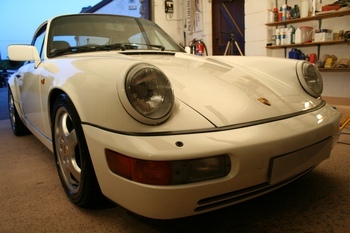 Are you looking for your ideal Porsche 911? Are you wondering which model and specification is the best one for you? Are you finding it hard to separate the ‘wheat from the chaff’ when all you have is a classified advert with limited information? Do you find you do not have enough spare time to search, visit, and inspect a car in another part of the country? We work only with Porsches (and in the course of each year inspect and/or drive literally hundreds of used models). We work only on your behalf and report only to you. Our opinions on Porsches for sale are impartial and unbiased (our business does not depend on selling you service or parts). We will advise you on the desirability, what work might be required and offer guidelines on the price of specific cars. Our expertise covers Porsches manufactured from 1965. We will be pleased to inspect all models of 911 (including 997, 996, 993, 964 and all Turbos), 912, plus the 944 in all its forms, 968, 928, Cayman, Boxster and Cayenne. 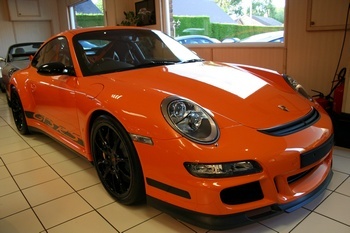 We have specific expertise of the faster Porsches including the GT, RS and Turbo models. Peace of mind is as important a factor when buying a pre-owned Porsche as that unforgettable thrill of getting behind the wheel for the first time. But there's a lot more to buying a pre-owned Porsche than meets the eye (or ear!). Even a one-year old example can have led a chequered life and if you are not familiar with the cars, what should be the purchase of a lifetime can turn into a nightmare.